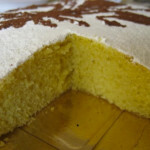 Thursday 31st of January 2013 at 13,15, cooking competition at school: “Schiacciata alla Fiorentina” (a typical Florentine cake). The school teachers and the staff will bring to school an own homemade “schiacciata alla Fiorentina”, the students will decide which one is the best. The first cake to be finished will decide the winner!! !